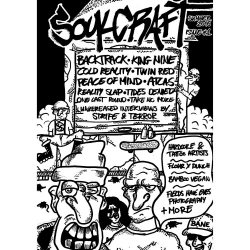 Great and real proper made zine which kinda appears like a book featuring interviews with Terror, Strife, Backtrack, King Nine, Peace Of Mind, Twin Red, Atlas, Cold Reality, Tides Denied, One Last Round, Take No More + columns & more. Almost 80 pages of very interesting stuff (in English! ), a great work by Apostolis from My Turn (Greece). 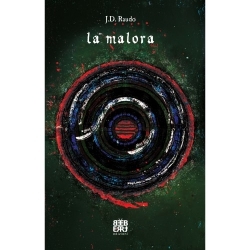 Italian zine/book.Almost 90 pages, with professional layout and packaging.Articles, recipes, editorials, reports, interviews (Kalashnikov Collective and Intothebaobab).Very reccomended reading.Language: Italian. 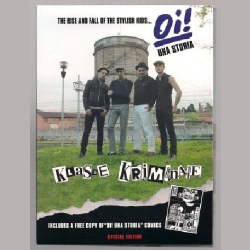 Klasse Kriminale is a legendary oi! / street punk band from Italy. This is a special edition (limited to 300 handnumbered copies) which comes in a big digipack packaging and includes a copy of the "Oi! Una Storia" comics.